They can do that! 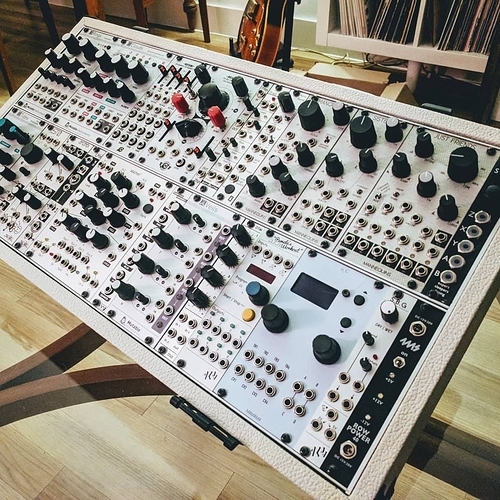 I just specified I want mine with an Intellijel sized middle row. Just hit them up with an email and they’ll help you. I just sent an inquiry regarding a custom build and mentioned that it would be shipping to North America. If I learn anything I will let you know. I did email them a while back, about a specific case…one of the 4u ones I think. 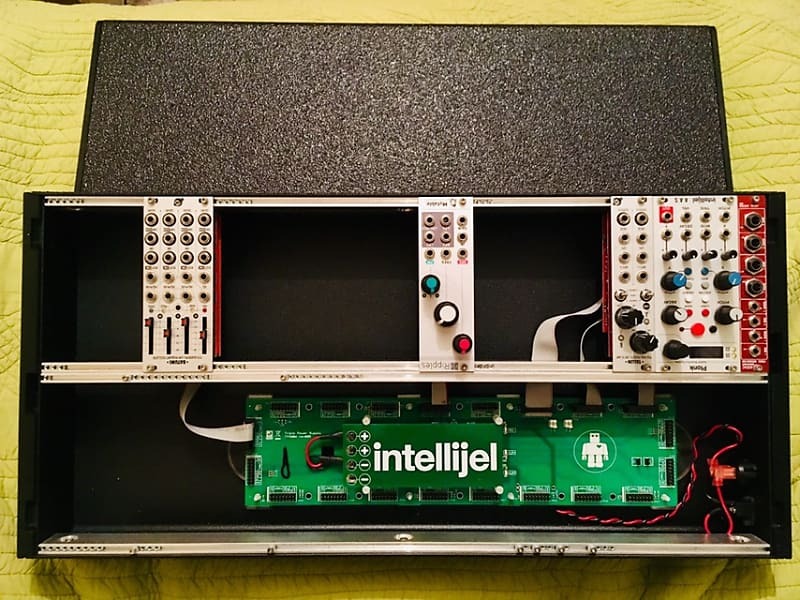 I asked whether it was for PL, the reply was no, its Intellijel. Maybe I should have been more specific, or asked about custom builds? Although I would have thought that would have been mentioned. I ended up ordering a custom 10u portable from Grau. They were incredibly responsive to my endless stream of grueling questions and quoted me a very reasonable price. Shipping to US came in under 50 euros for an unpowered case. Let’s have a look at the case? Only ordered it yesterday, but I’ll post it once it is delivered. Just wanted to share my positive experience and the reasonable international shipping for those considering! Did you specify Intellijel or Pulp Logic for the 1u? For power: I very recently purchased Trogotronic’s M15 (12u) and have been happy with it. It’s the only reason I went unpowered. As far as 1u format: I specified Intellijel. They seemed flexible to cater to my requested specs, though I don’t know if the rails they use would prevent building a PL case. It’s worth asking (they got back to me rather quickly). Yea, their email correspondence hasn’t been the clearest always but they have been very helpful. I specifically asked for customization options and they said anything in any size is possible, just takes a bit more time as they have to make the templates. My totally custom 64hp 7U with the Intellijel 1U being the middle row, took maybe six weeks to arrive from the order. Wow, these are exceptionally beautiful! What’s the trick to those rounded corners? Awesome! I’m inspired to dive in and build my own case too. These pics are super helpful. Nice work! 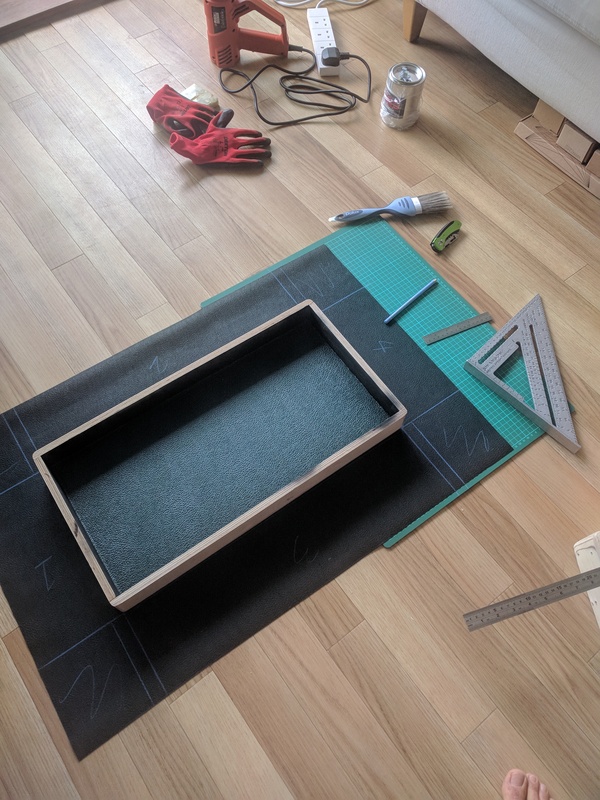 how did you manage the folding/gluing on the corners? The two pictures with the cut tolex shows the rough shape you need, and there are 4 smaller flaps to wrap each corner. I did watch some videos on people wrapping amps or boxes which definitely helped. It is a little tricky as I needed to work quickly with the glue… But the water based glue is also easy to peel and fix if you make a mistake. 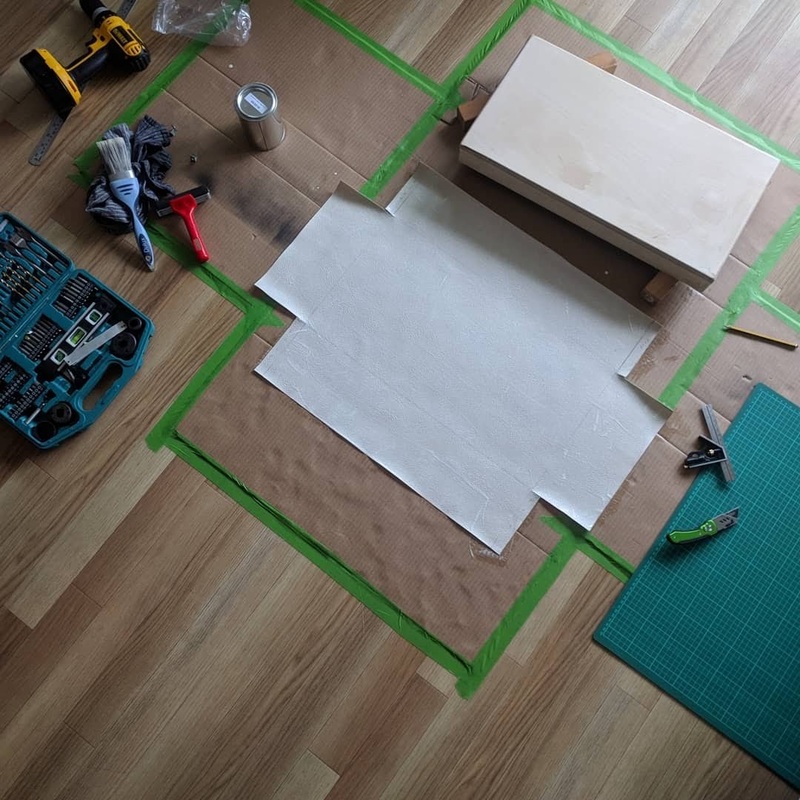 You definitely need a heat gun to strech and smooth the tolex out for final finish. I also practiced a lot without glue so I could have my rhythm and process in place before the glue up. I saw that Control just listed a new in-house case with optional Make Noise power. This looks like a good option along the lines of a Doepfer low-cost case. Out of my reach but as it was mentioned here so fondly, I though to drop a note. Once more - I have nothing to do with this, just dropping a link. Gotta hand it to Control for doing an unpowered 6U 104hp case for $125! 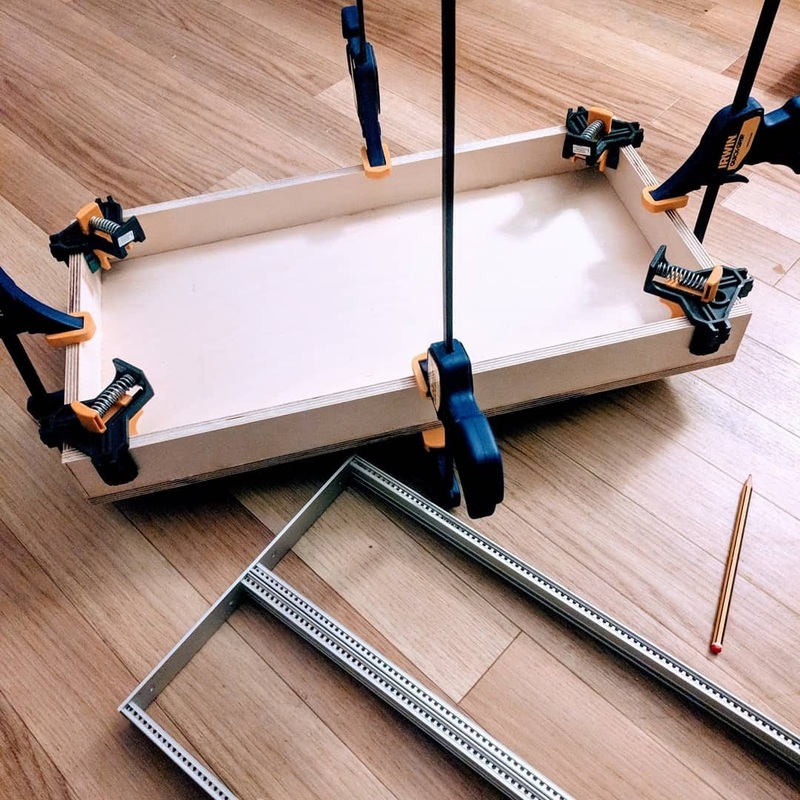 I use Tiptop rails in my cases and for a similar size that would be $104 just for the rails, saying nothing for hinges, clasps, and a handle. Of course they aren’t including a lid, so there’s a big saving in cost there. 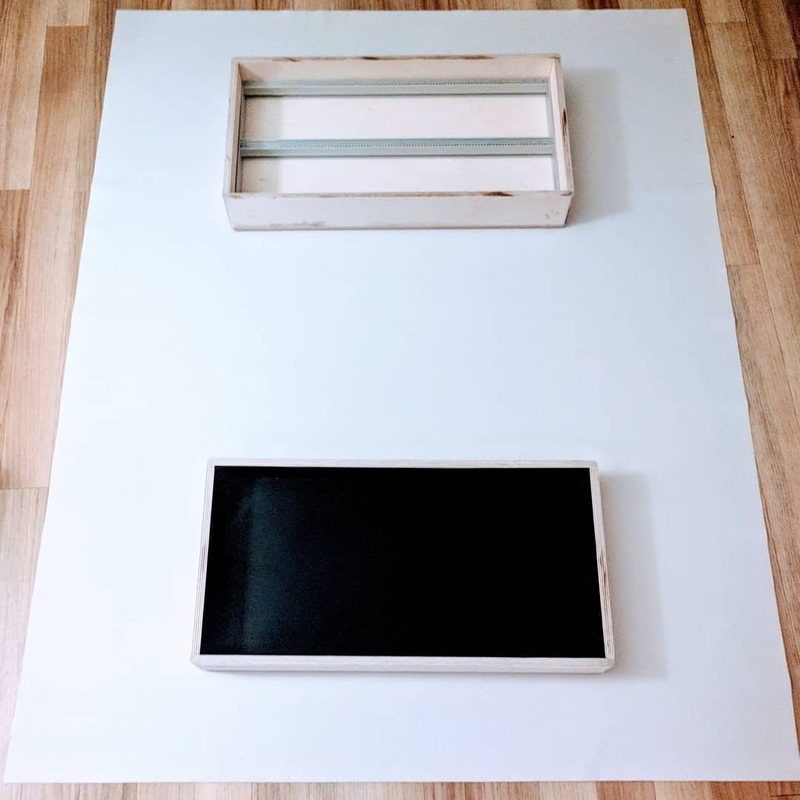 If price is a big limitation I can’t imagine a non-DIY solution that is a better deal if you won’t need something less fussy to travel with (due to the lack of a lid). …and if nothing else, include a power switch. thats a corner not worth cutting, imo.